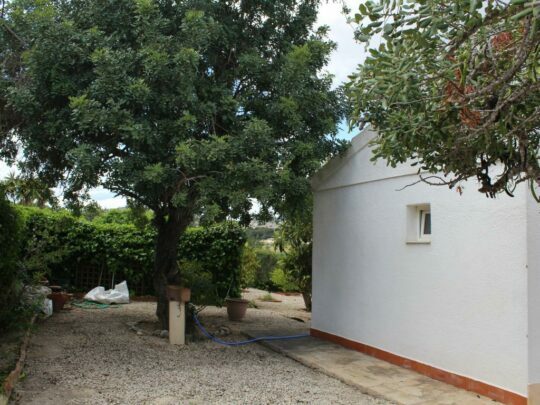 If you want privacy, peace & quiet but close to amenities then this location is perfect. 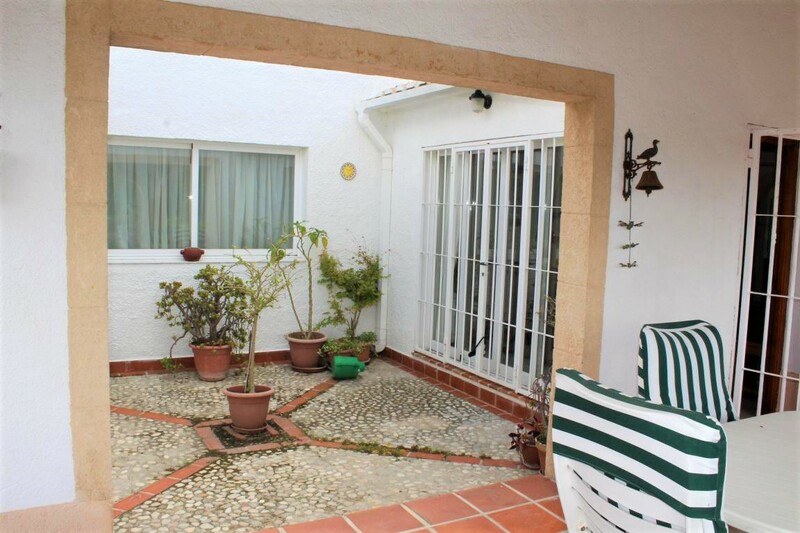 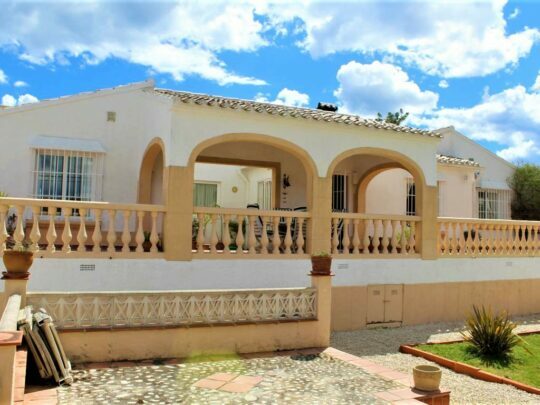 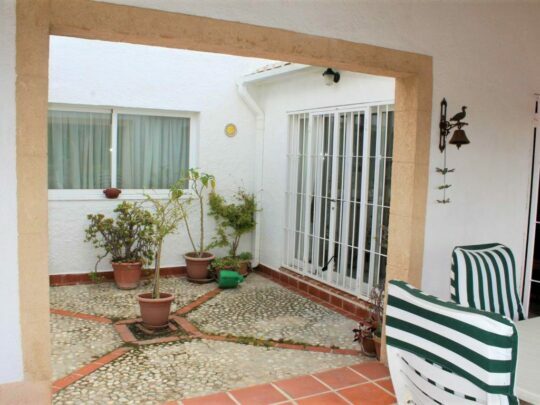 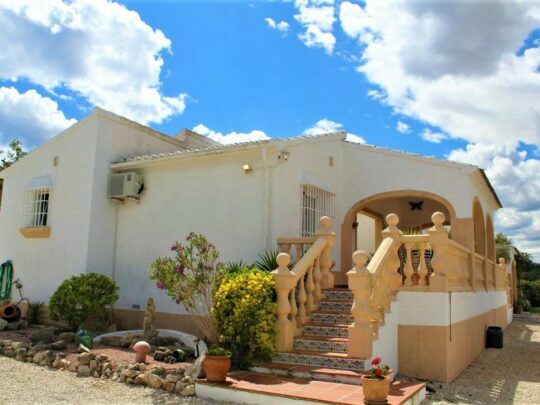 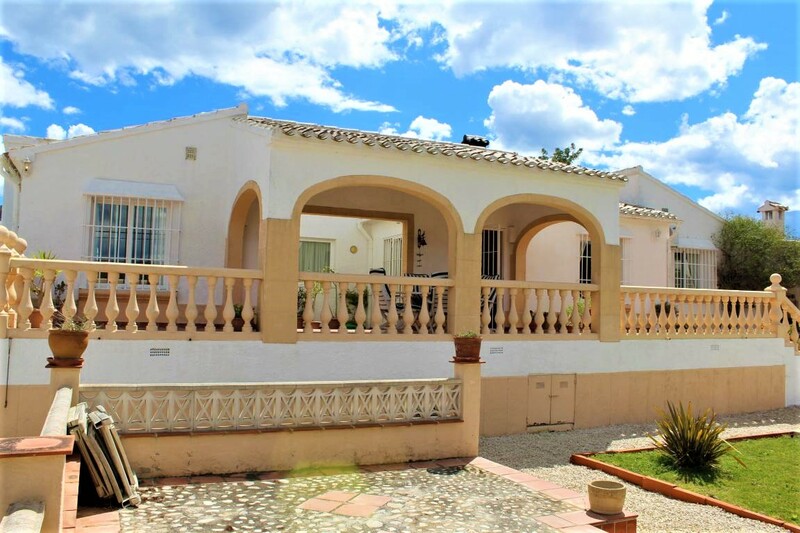 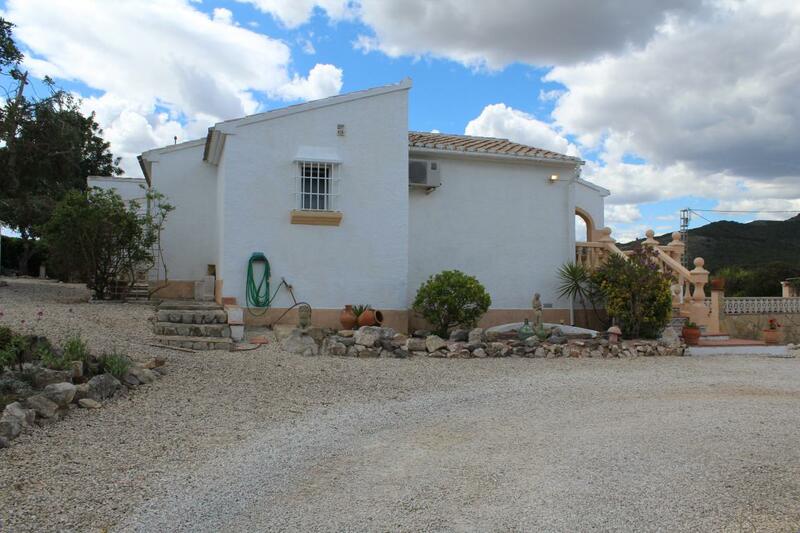 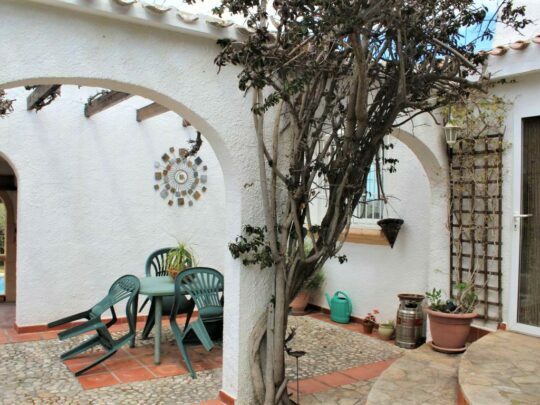 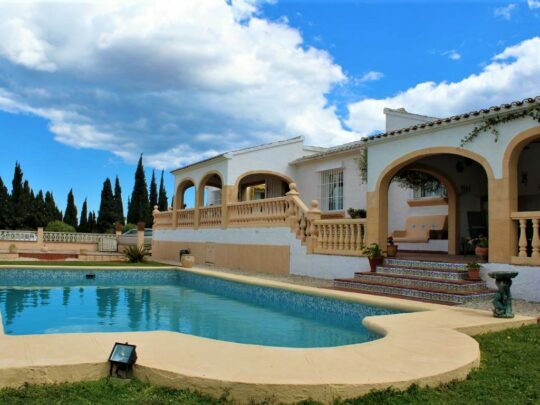 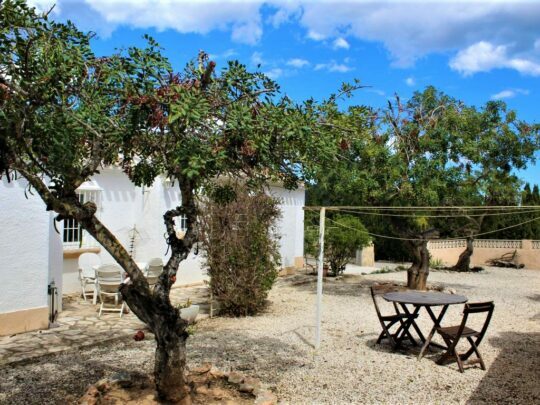 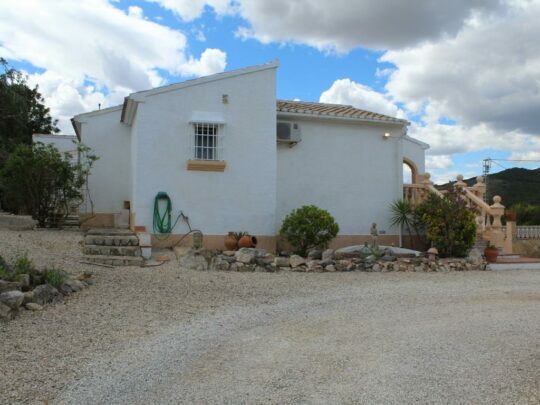 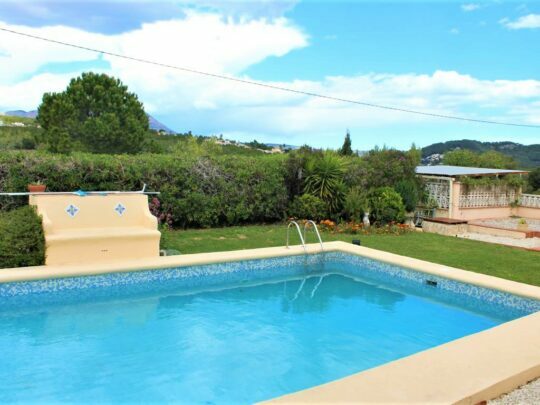 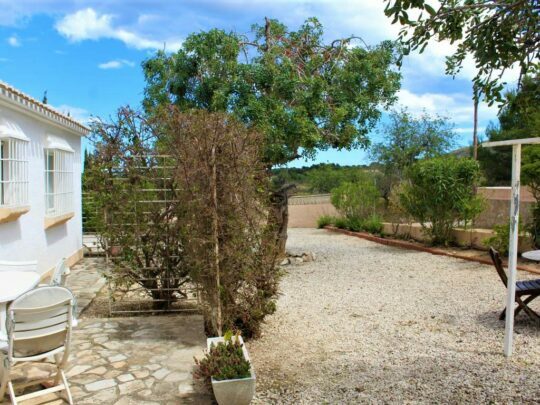 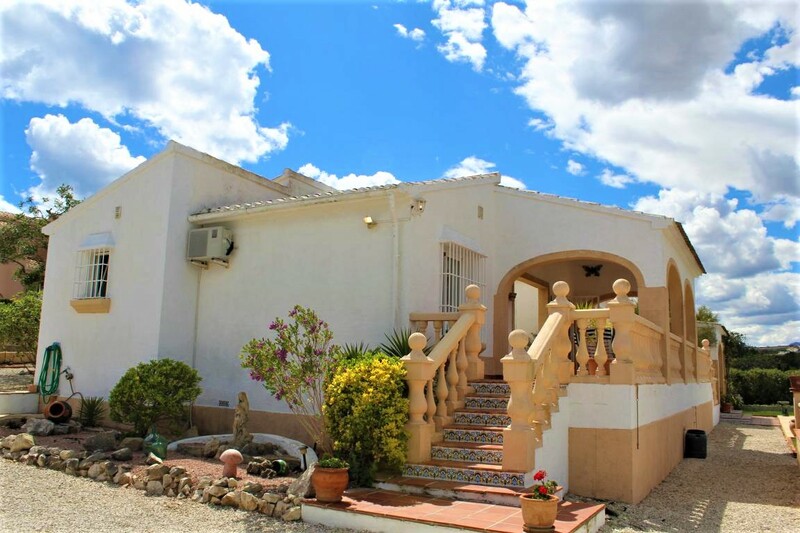 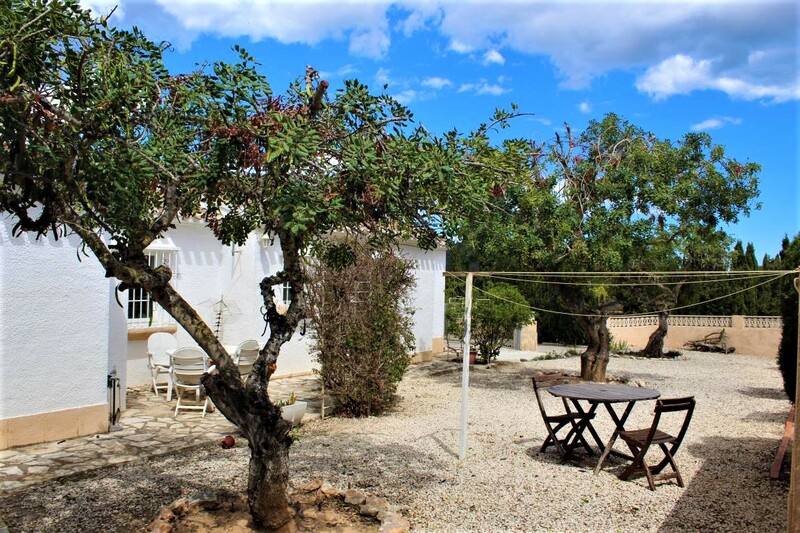 Only 5 mins walk to the bowls club, 10 mins walk to Javea Golf Club and the village of Benitachell. 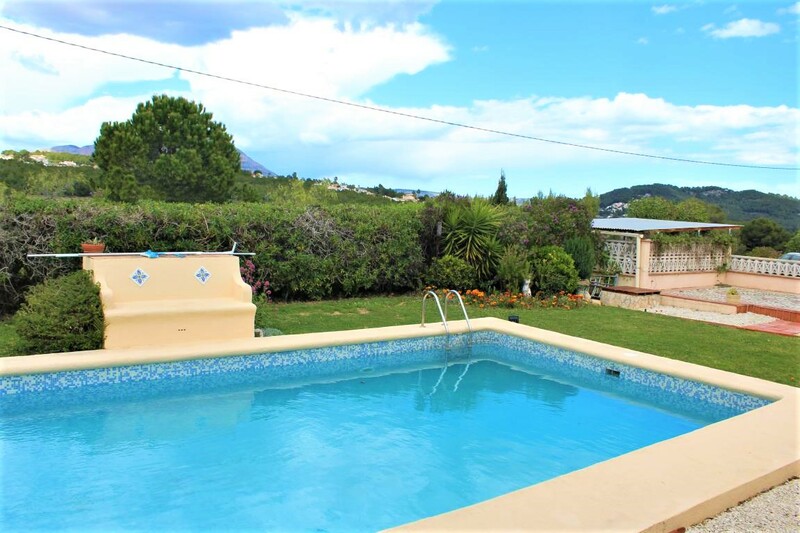 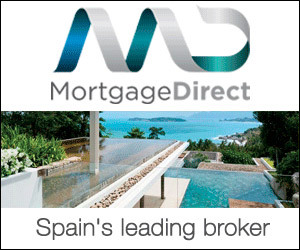 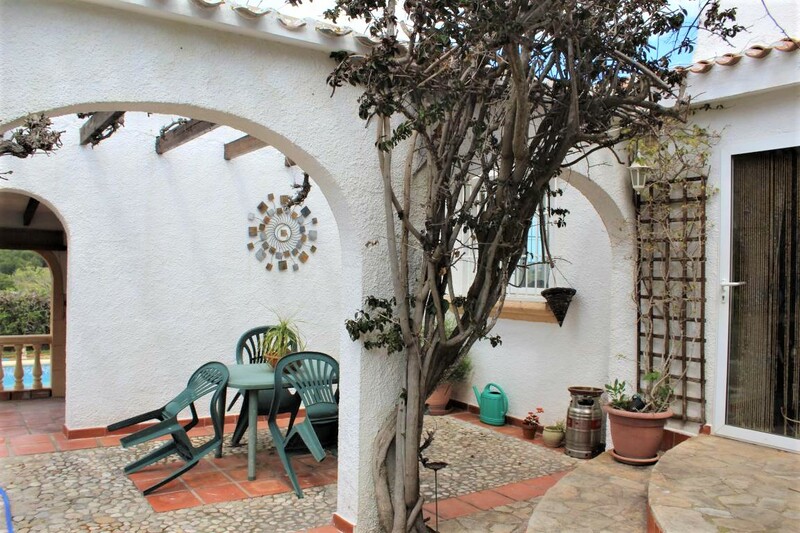 Javea & Moraira are a 10 minute drive. 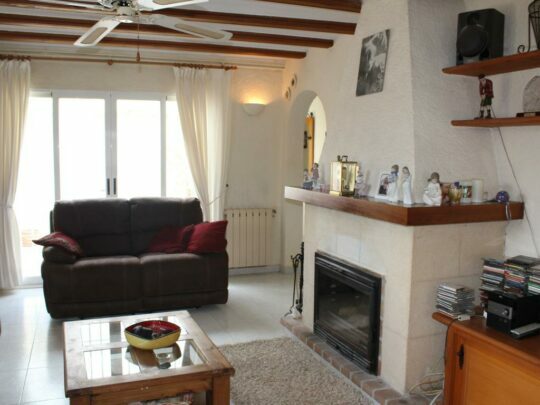 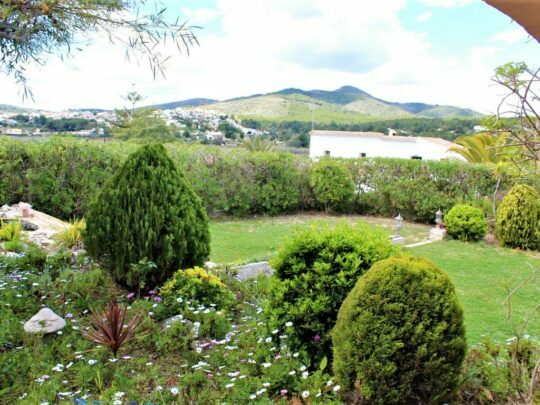 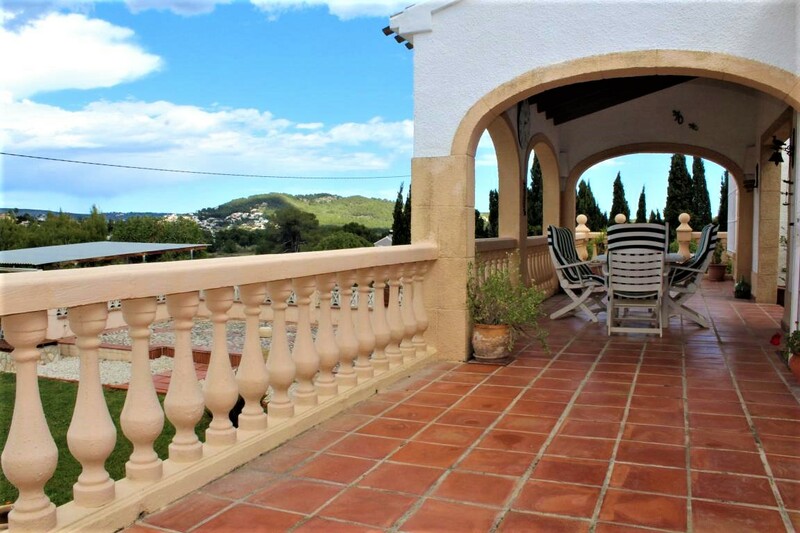 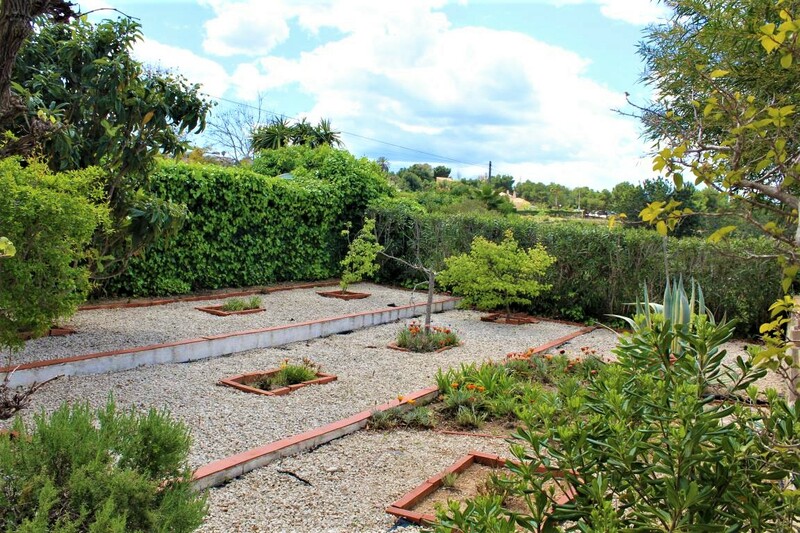 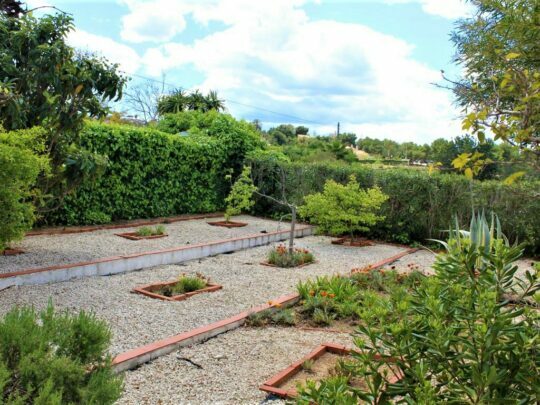 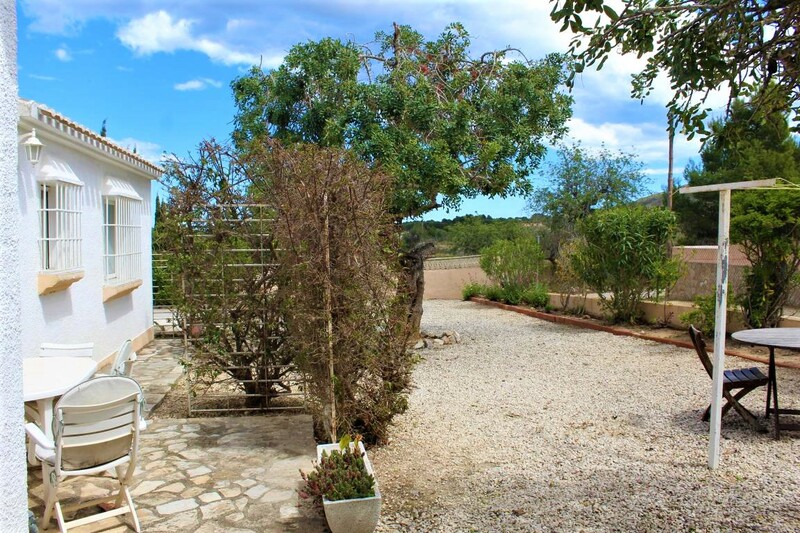 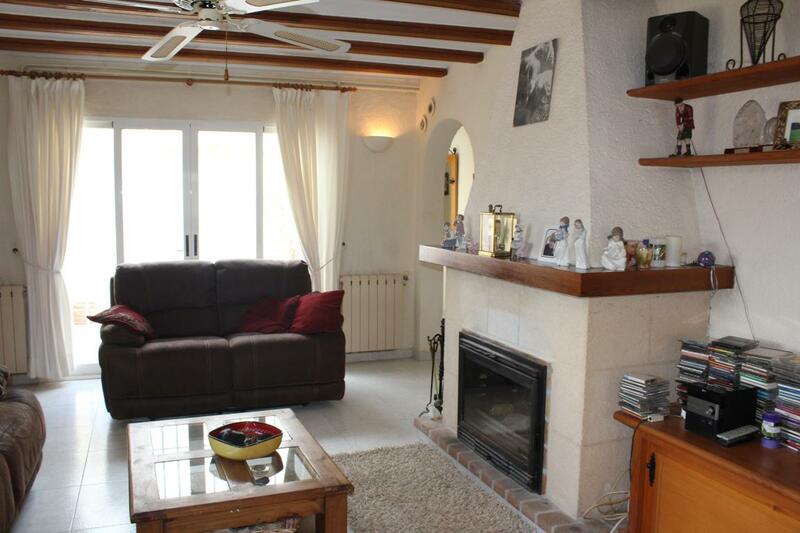 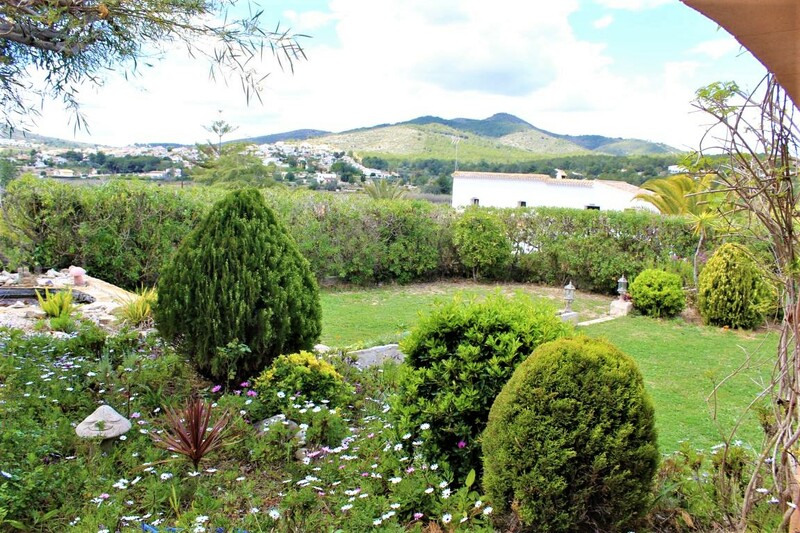 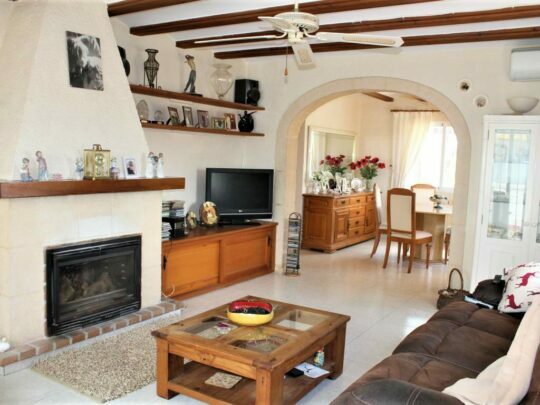 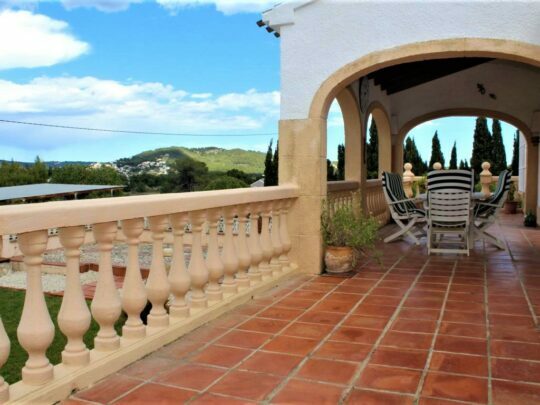 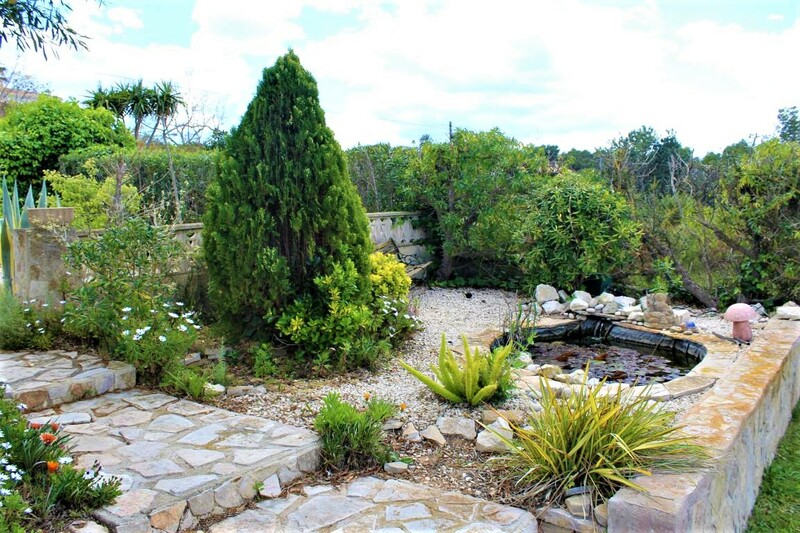 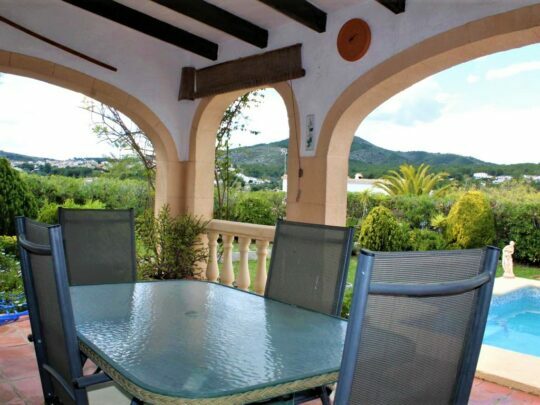 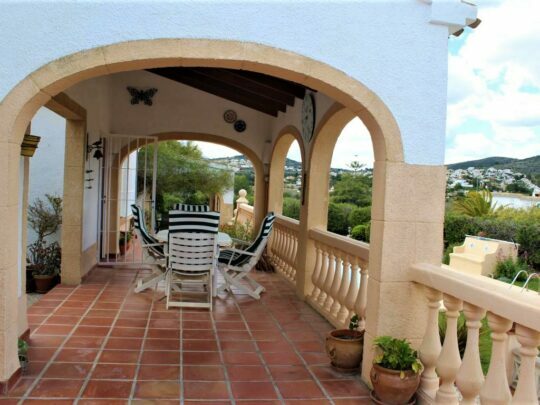 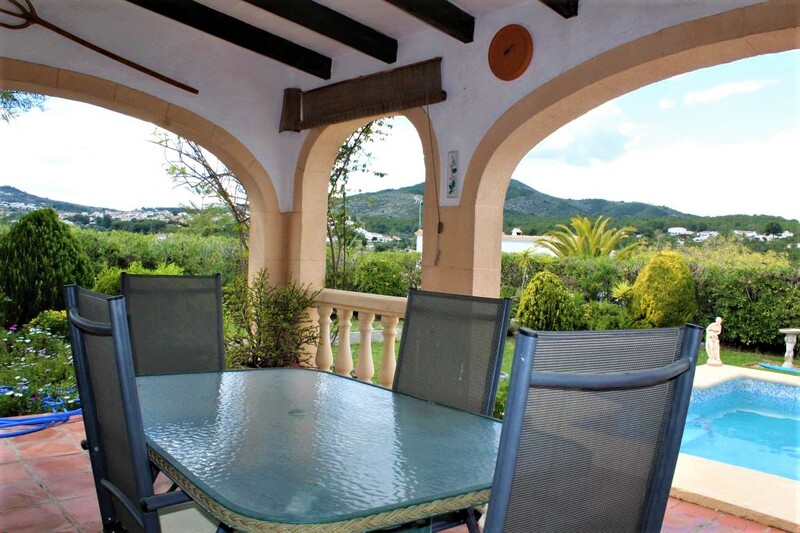 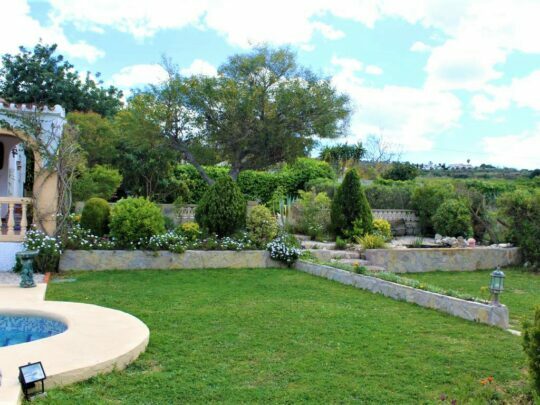 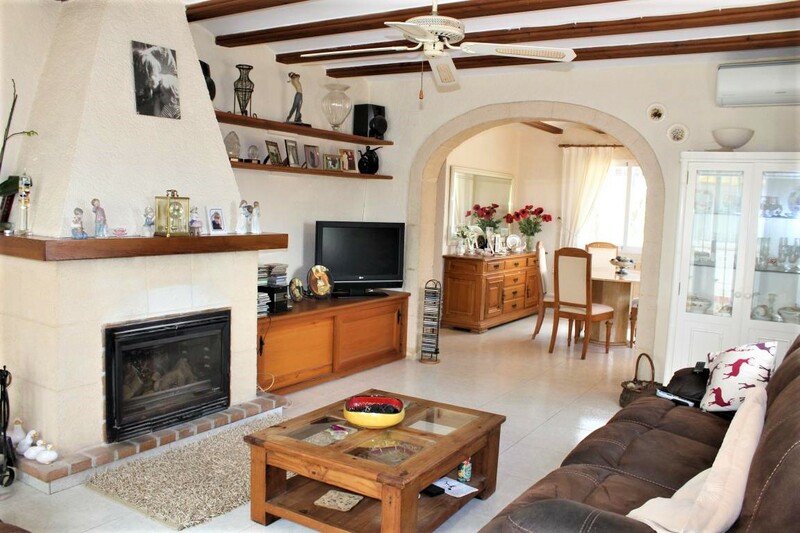 The villa is situated on a large (1800 sqm) plot and is all on one level with views over to the Montgo mountain. 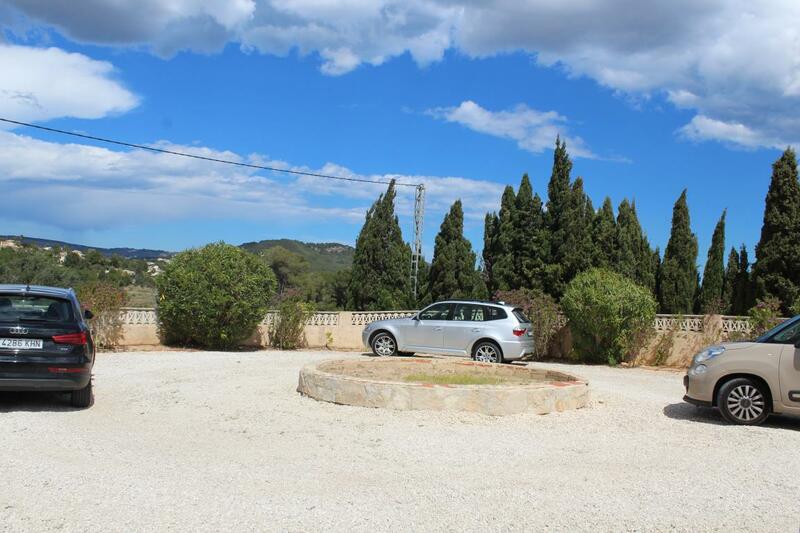 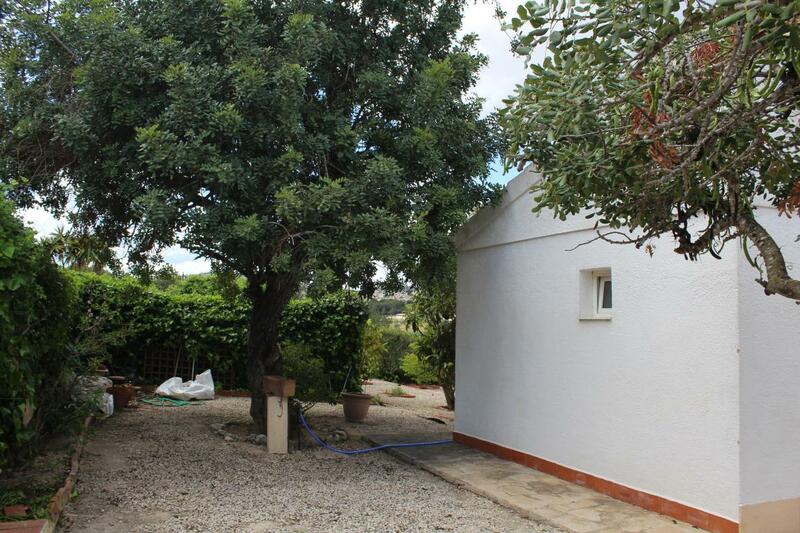 Access to the plot is via a large driveway with a turning circle in the middle. 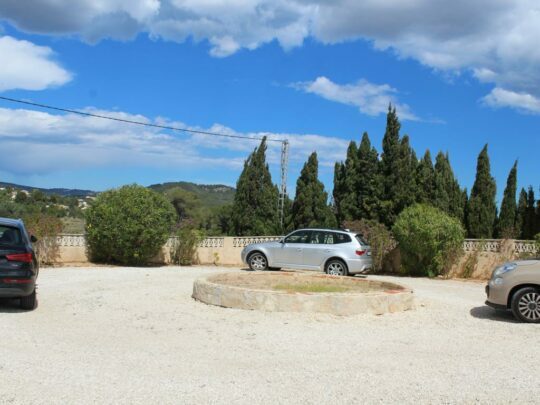 There is plenty of parking space for several cars. 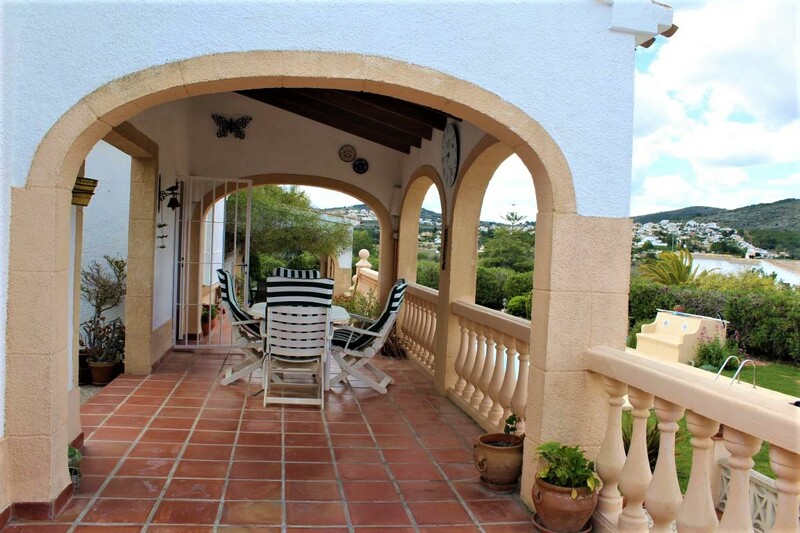 On entering the villa from a covered terrace area you will see a substantial lounge with tosca stone arches and a fireplace. 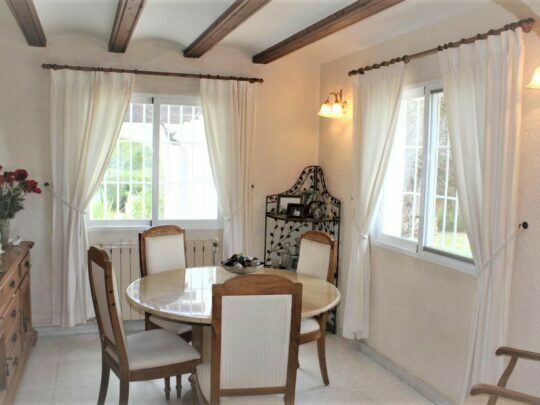 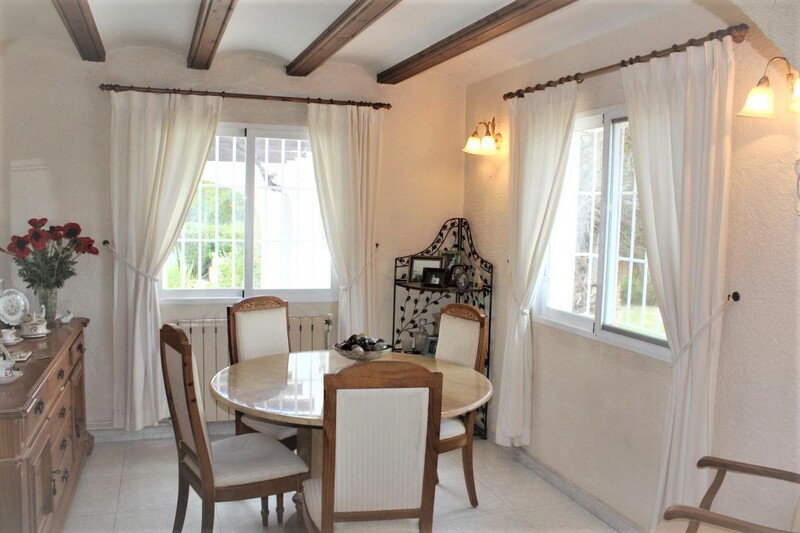 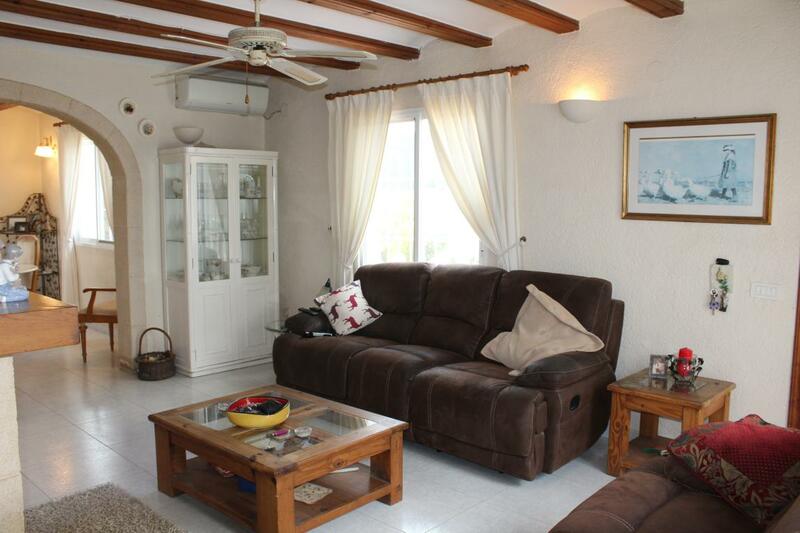 There is a separate dining room and fully fitted kitchen. 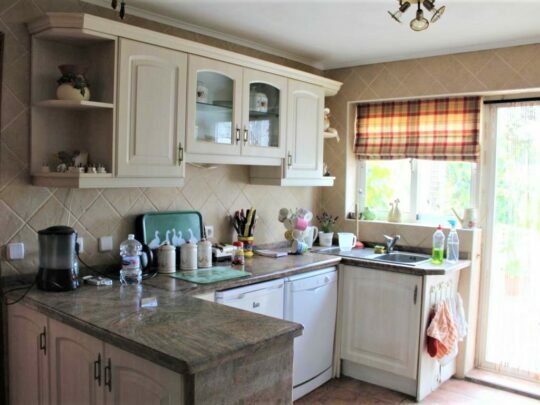 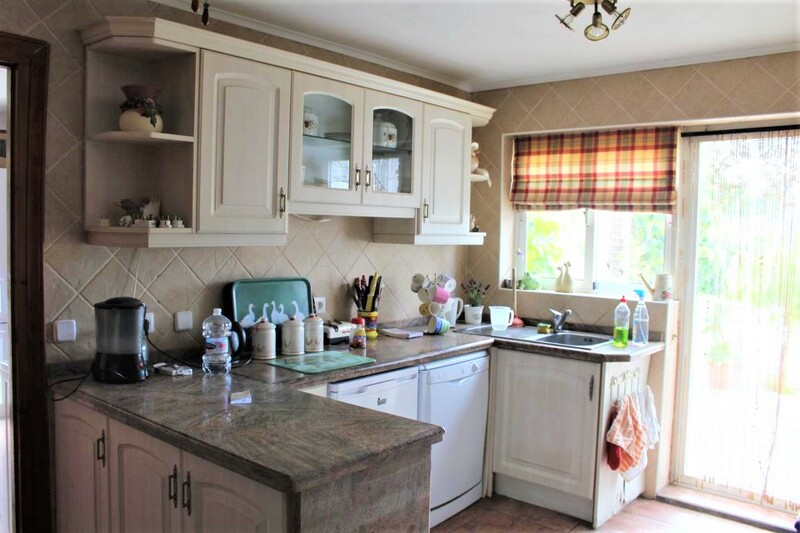 From the kitchen is a useful utility room with access to the rear of the property. 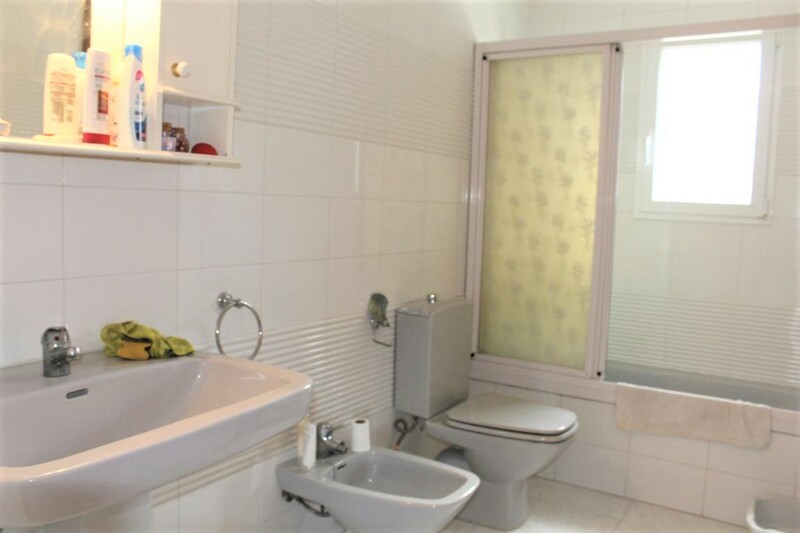 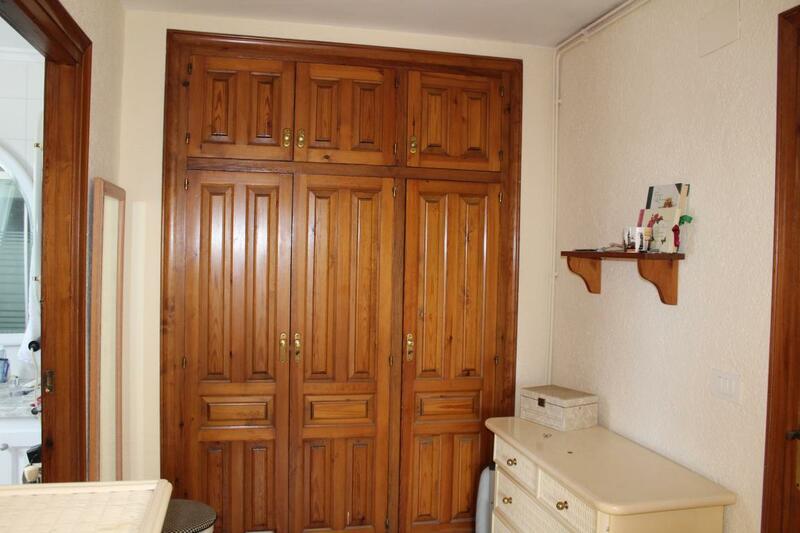 From the lounge there is a corridor which leads to 3 bedrooms and two bathrooms on being en-suit. 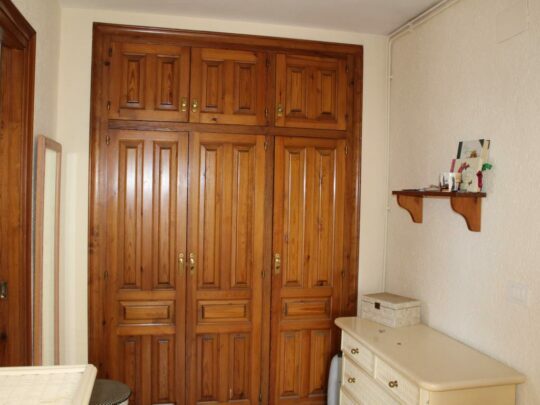 The master bedroom has a walk-in wardrobe. 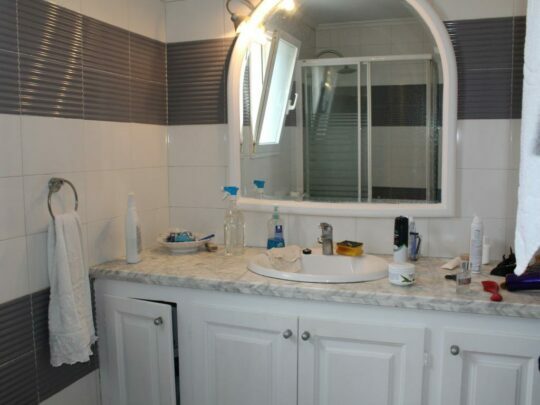 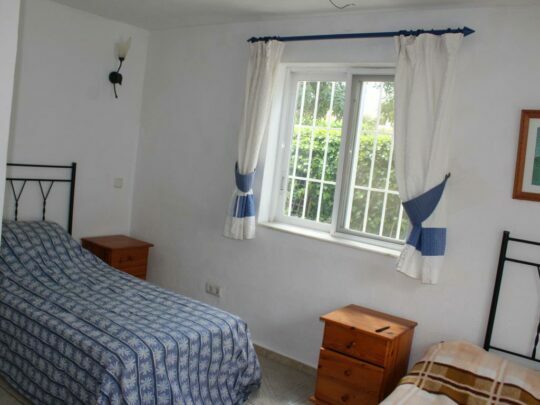 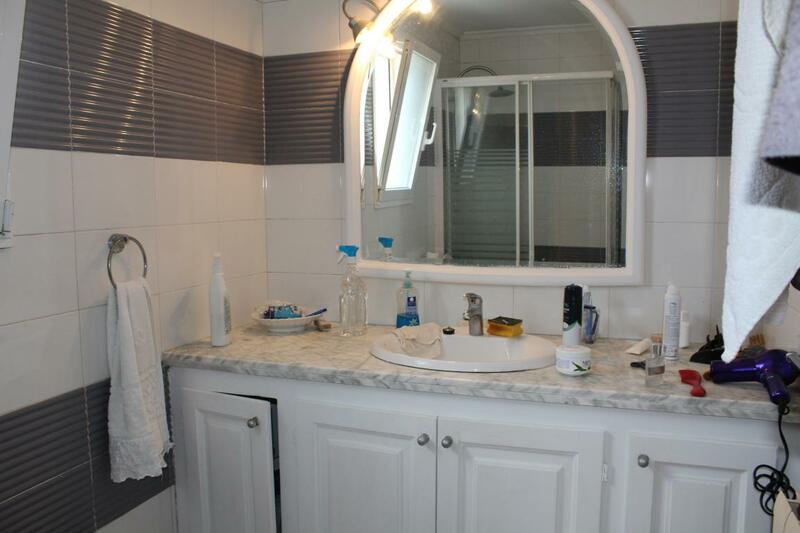 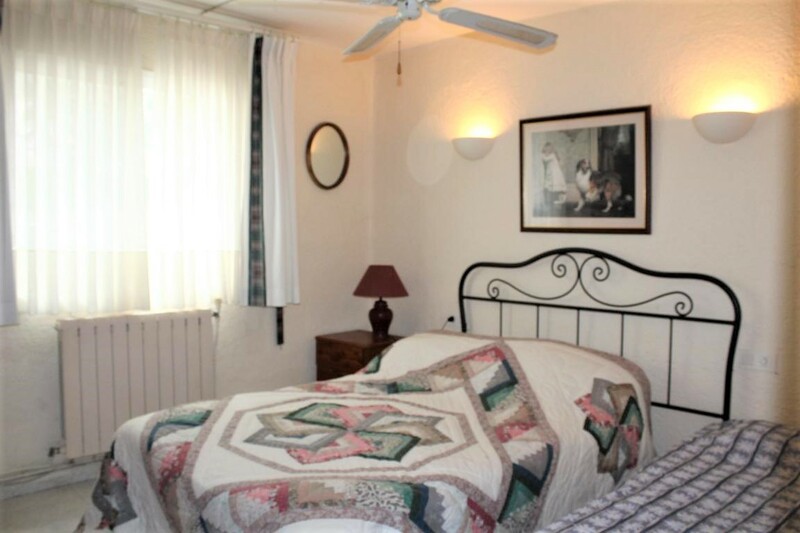 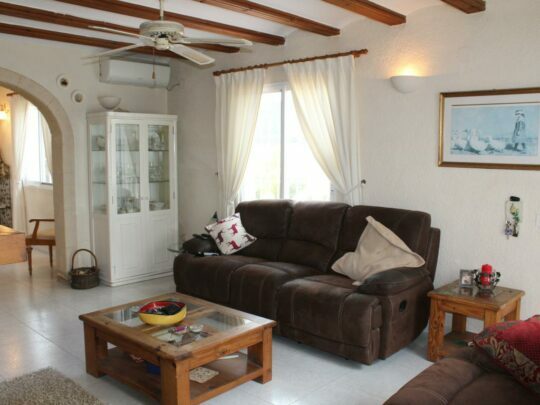 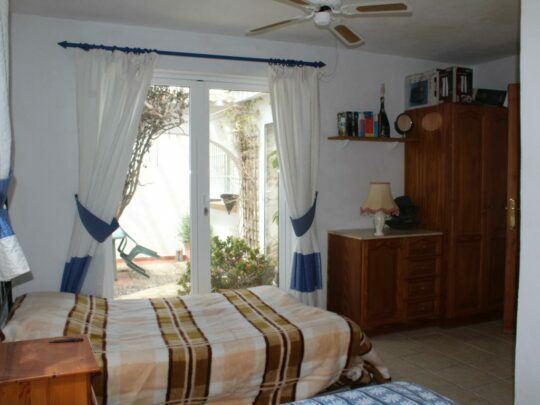 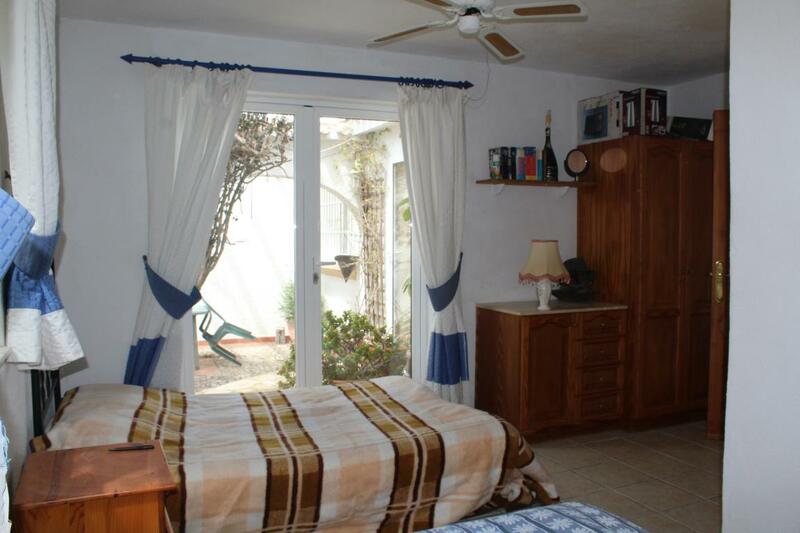 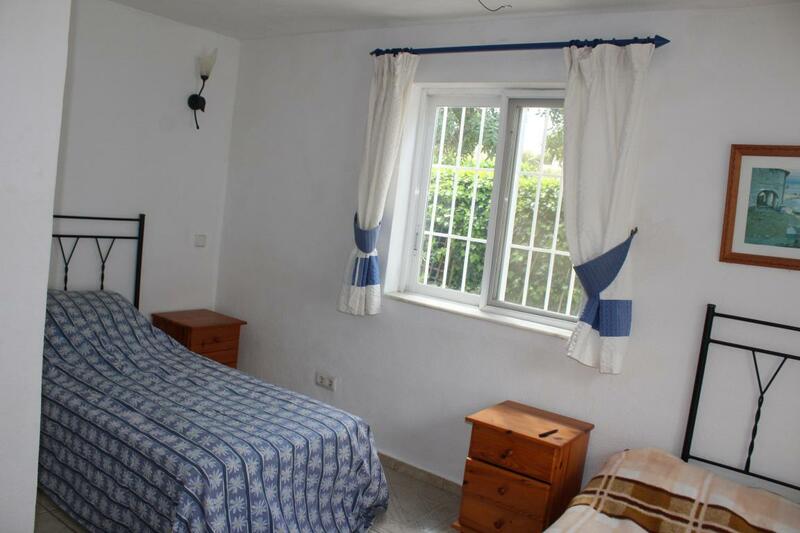 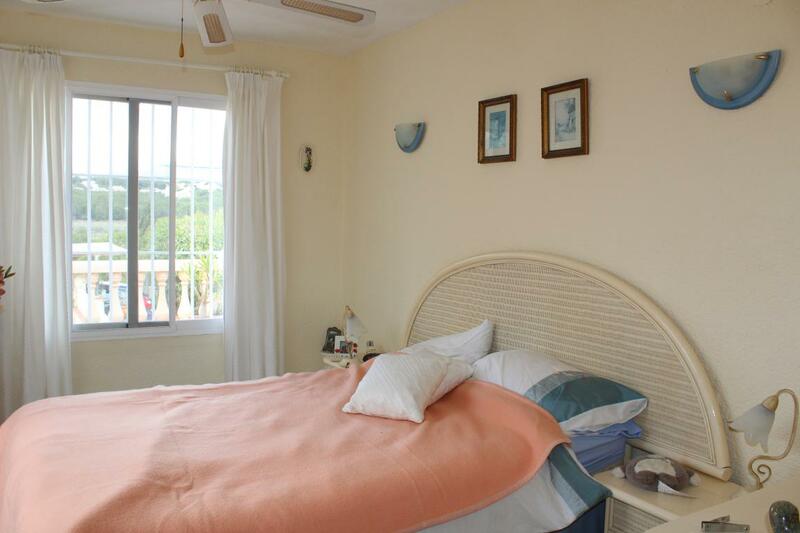 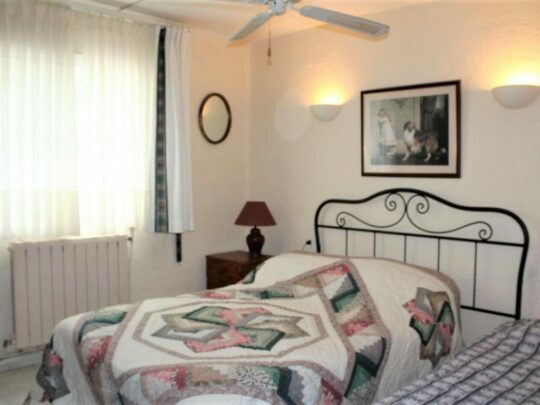 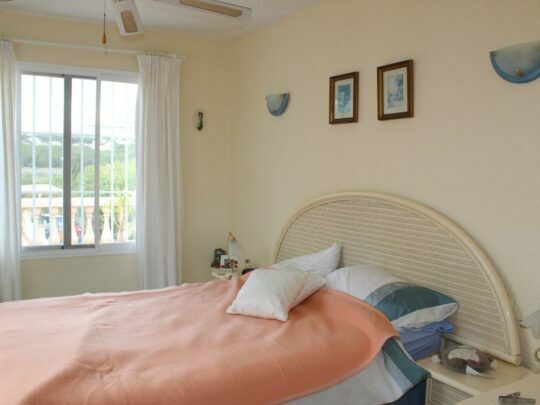 At the far side of the villa you will find another large double bedroom with en-suit bathroom. 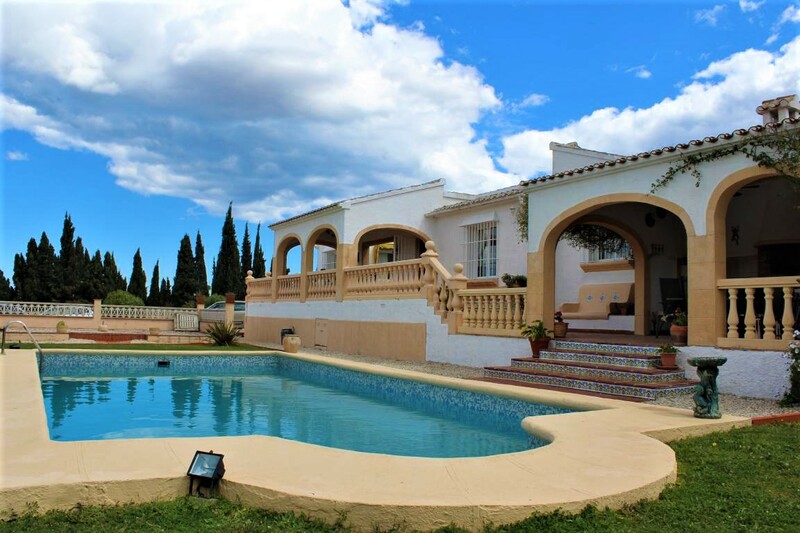 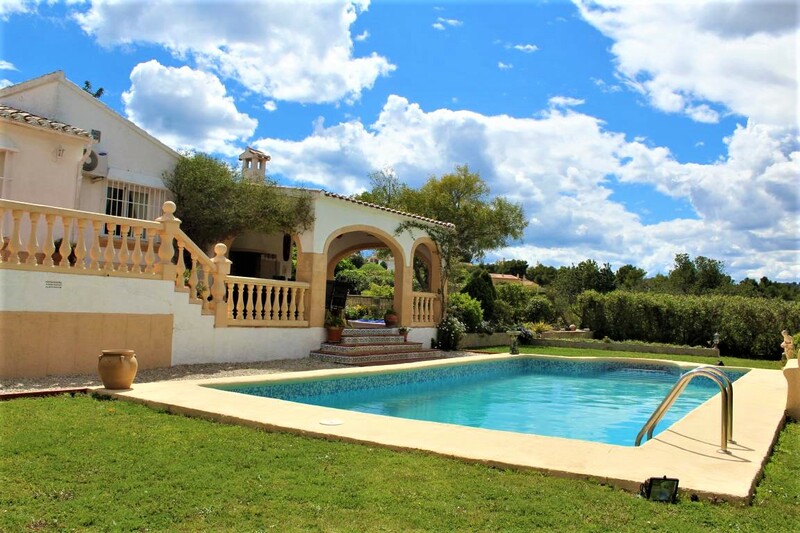 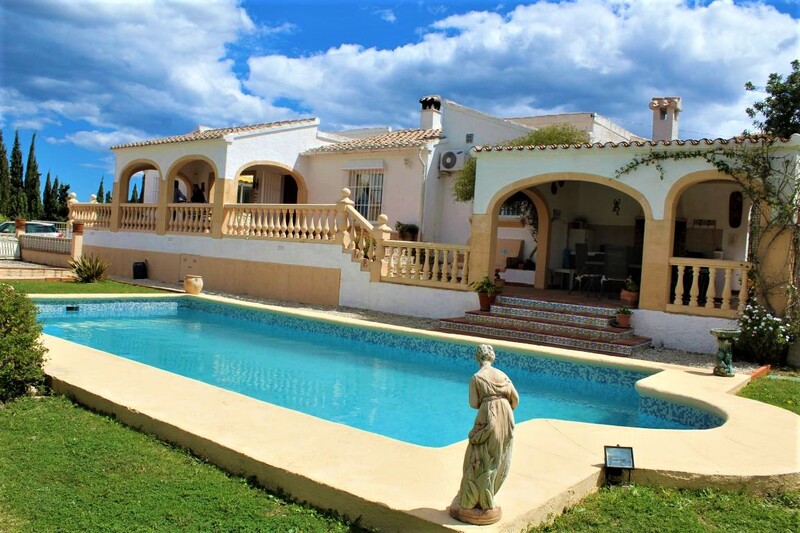 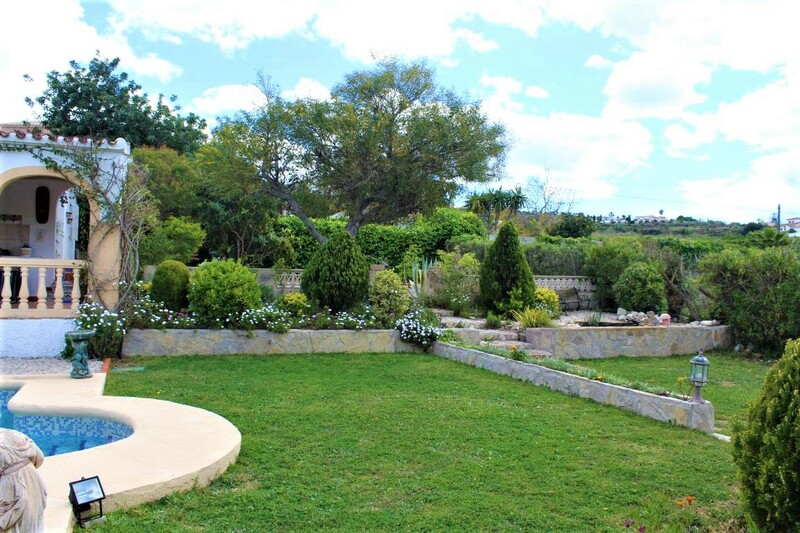 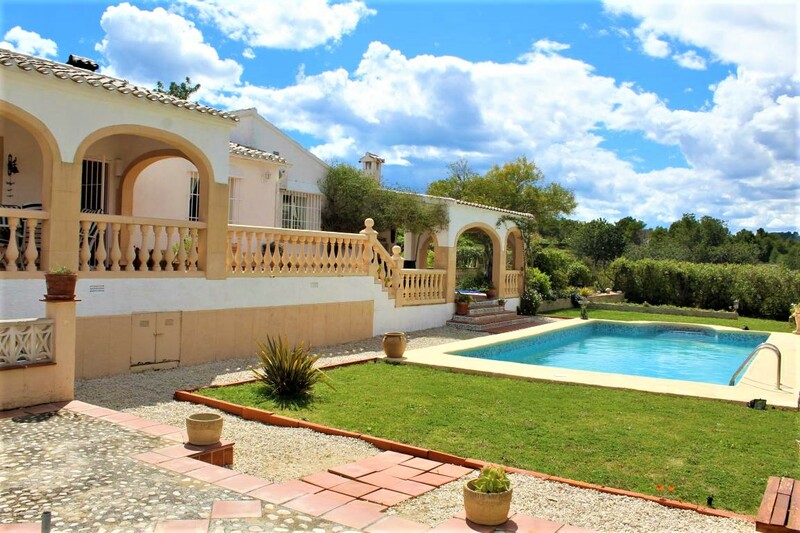 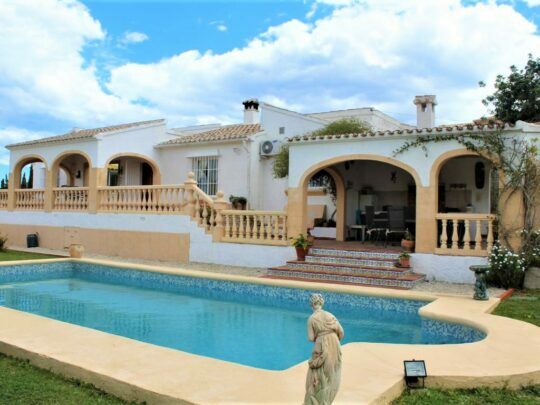 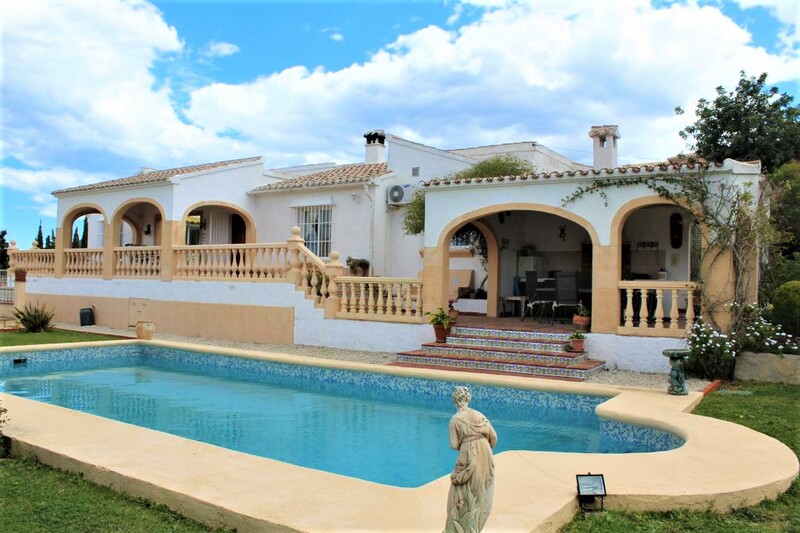 Due to the large plot the villa has sun all day especially around the 10/5 swimming pool surrounded by many grassy areas to relax in the long sunny days. 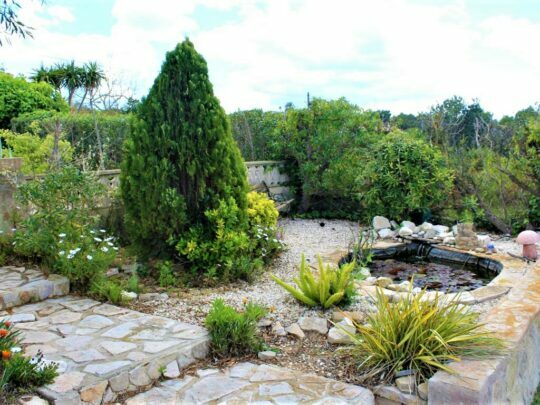 There is a small fish pond to the far end of the plot. 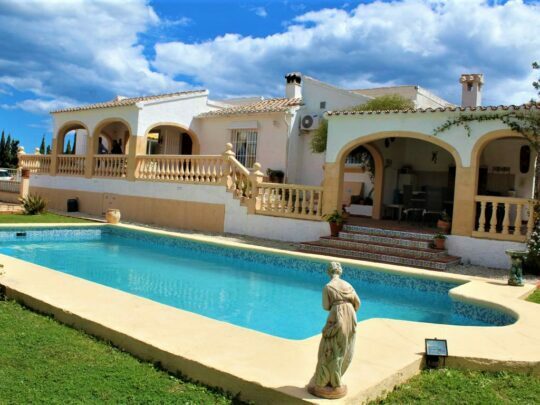 This villa should be viewed to fully appreciated.